When I was a young monk, with the blessing of my elder Philaret, I went for confession to Father Tikhon. After we had been received, we told him why we had come, and began the confession. I said my sins—head bowed—and as time passed, I felt my neck become wet. I did not know what this meant. 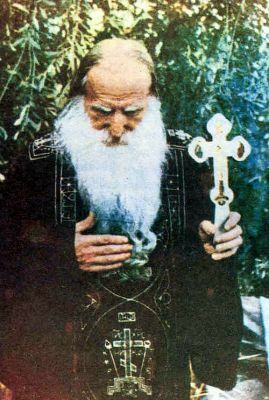 No sooner had I finished my confession that I raised my head, and I saw that Father Tikhon was weeping, and the tears had dripped on my head during the entire confession!